Probe-A-Load is a leading manufacturer of agricultural equipment. Their signature product, a grain sampling probe, is sold world-wide and has been for many years. 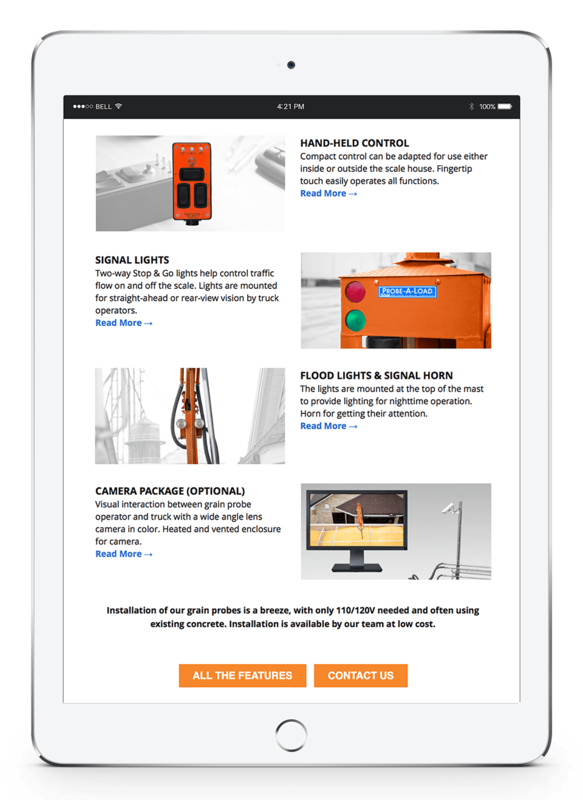 They wanted a redesign of their old website which better represented their brand, with application of the product features and inclusion of a video showing the probe at work. It was important for them to have a website that communicates the benefits of their probes and explanations of operation. We designed a clean, easy to navigate website with a video feature and highlighted information and photos of their grain truck and rail car probes. 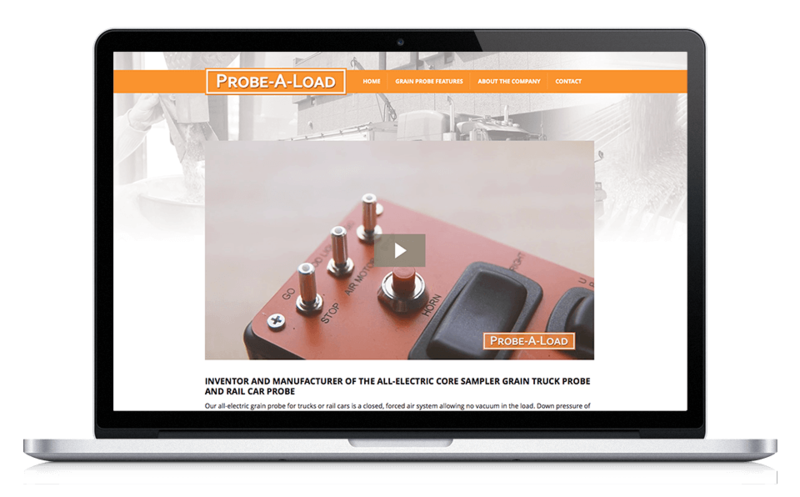 The many visual elements of the new website make it easier to understand Probe-A-Load’s grain probes and how they work. As an innovator in the industry and leader in technology for grain probing, Probe-A-Load’s website is visited often by users world-wide. 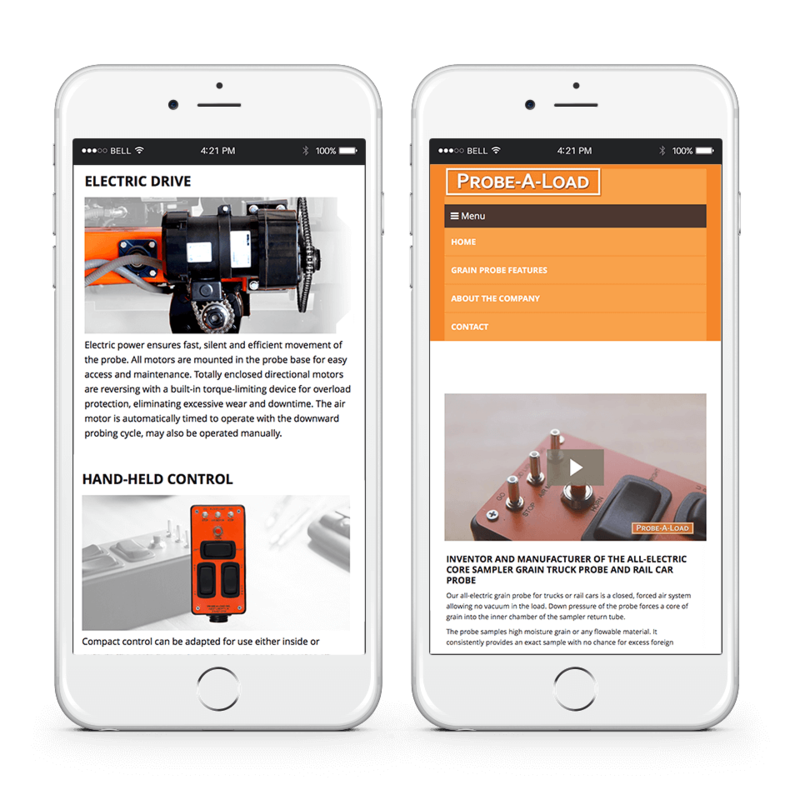 The site’s clean layout makes it easy for users to find what they need quickly!